Brite Blinds in Hove recently fitted this Markilux 990 awning in Brighton. 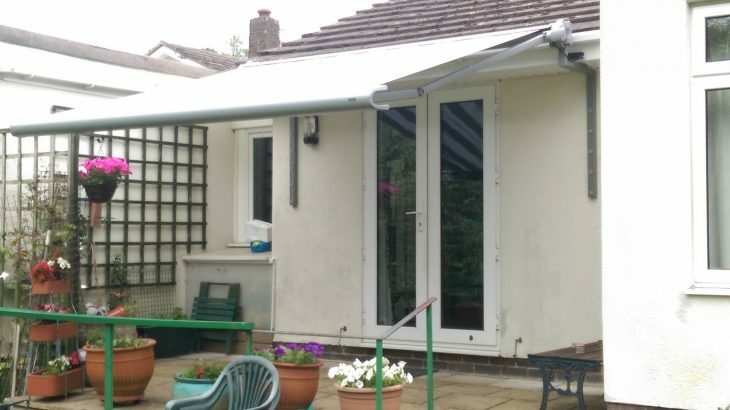 It is fitted using gutter brackets to allow the awning to be fitted high enough to be usable and to clear the french doors. Our customer chose Markilux’s Stone Grey Metallic finish for the cassette. This is one of Markilux’s self cleaning finishes the uses nano technology to keep the hardware as clean and maintenance free as possible. Awnings, Markilux brighton, conservatory awning, gutter brackets, hove, markilux, markilux 990, markilux awning, motorised markilux awning. permalink.